On October 26th, I played a Halloween cover show at Babyland. 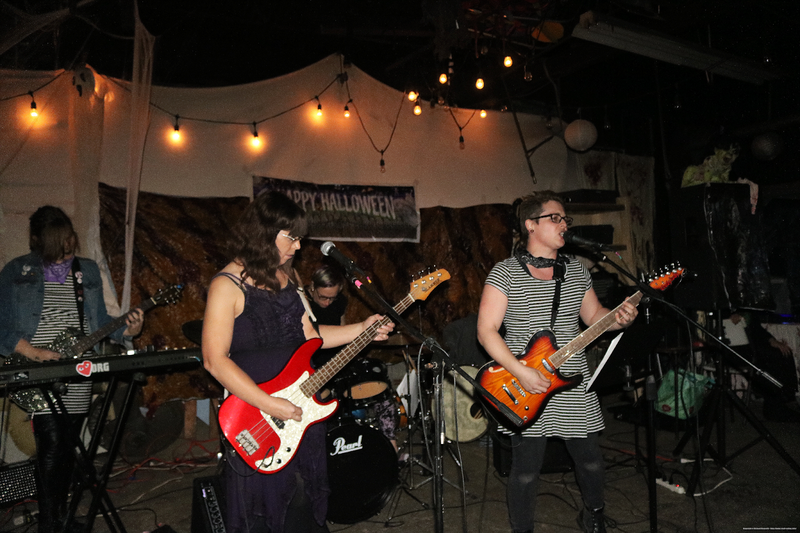 These Halloween cover shows are a yearly tradition in many cities and something that seems to be even bigger in Pittsburgh from what I have heard from out-of-towners. Every year, I think about doing one of these but only remember about them at the last minute. There seems to be a sort of secret society of Halloween cover show promoters, so I've had trouble getting on one: not knowing who to talk to, when to ask, or just getting denied because apparently nobody wants to see a cover band for Kiss. This year I responded to a post from my friend Alexis for an L7 cover band. I was only marginally familiar with the band, but I thought it would be fun and challenging to go out of my comfort zone into the harsh realm of grunge. I honestly didn't think anything would come about signing up as these things tend to go, so I was shocked when Alexis contacted me about practicing. I was worried for a moment, but I really wanted to do it and practiced a few nights at home with some tabs I printed out. I figured I needed to catch up, but I found out that I was actually the most prepared at our first practice. Over the next few weeks, we had some difficulties with different members moving at radically different paces. We ended up working on four songs: "Shitlist", "Packin' a Rod", "Freak Magnet", and "Pretend That We're Dead". By the date of the show, I think the four of us were excited, prepared, and a little antsy. For better or worse for the four of us, we did not play first. A Placebo cover band was the opener. I had never heard Placebo before. My friend Shoop played keyboards and guitar, and I was excited to see her play finally. The band was pretty good, and I liked most of the songs. Some of them bordered on Goo Goo Dolls soft rock territory, which isn't my thing, but it was all well done. L7 (that's us) was next. We set up with our gear and went right through the songs. I'm not sure the levels were perfect for all of our stuff. We had a few minor hiccups, though it's the kind of thing that you notice as a performer without any knowledge from the audience. Since we only had four, everybody wanted to hear more once we finished "Packin' a Rod". There was a minor idea of playing "Sonic Reducer", but we didn't do it (ha ha). As we started clearing our gear from the floor space for bands, a ton of gear started coming our way. This was for a cover band of Samhain, Glenn Danzig's post-Misfits metal/punk mashup that evolved into Danzig. I always wanted to hear this band when I was younger, but I never did. It was a little harder when I was in high school since there was barely anything on YouTube and Spotify did not even exist. It's odd to think back to then since it doesn't even seem that long ago or that different until I think about it more. 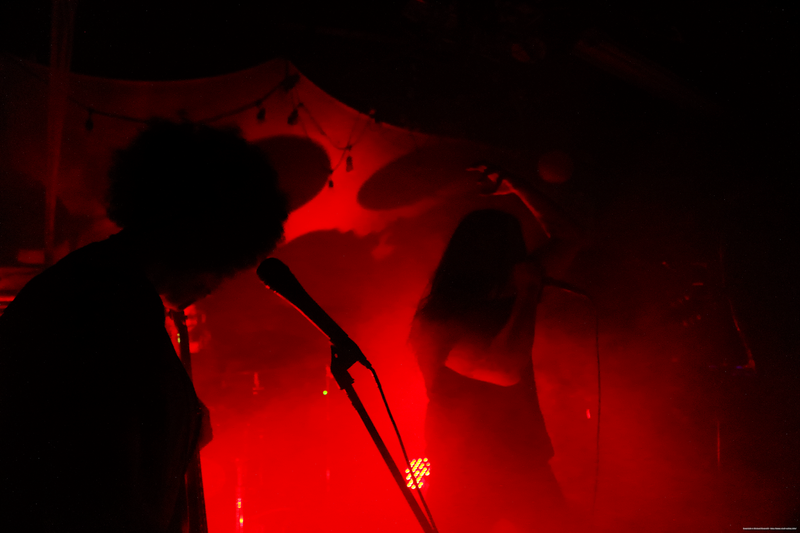 Anyway, Samhain did sound like a combination of Misfits and Danzig (more of the latter than the former). It was hard to hear, though, as they were super loud and it was such a small room. The audience had also surged to much larger numbers for this set, so it became hard to see or move. We still had to get a bit of gear outside through the crowd. The anxiety from this situation did not make me want to stay at the show. I didn't leave though. Dethklok was last, and it was worth staying for. I've only seen Metalocalypse a few times, so, like every other band on the bill, I wasn't familiar with any of the songs. I thought it might be fun to see how they would do the set since there was a lot of theatricality to be had here. They did a great job with the voices and look. It looked great with the red lights flaring about too. I enjoyed the Dethklok set way more than I expected to. In the end, it was an awesome show, and it was almost all new stuff to me with my limited knowledge of the bands being covered. That obviously misses the point a bit, but I enjoyed it. It was fun to play with a new group of people too and learn stuff that I wouldn't normally play. I would totally do it again. We'll see what ends up happening for me for Halloween 2019.